Baker's Square in Apple Valley is nearby all your favorite local destinations, so make us a regular part of your routine. 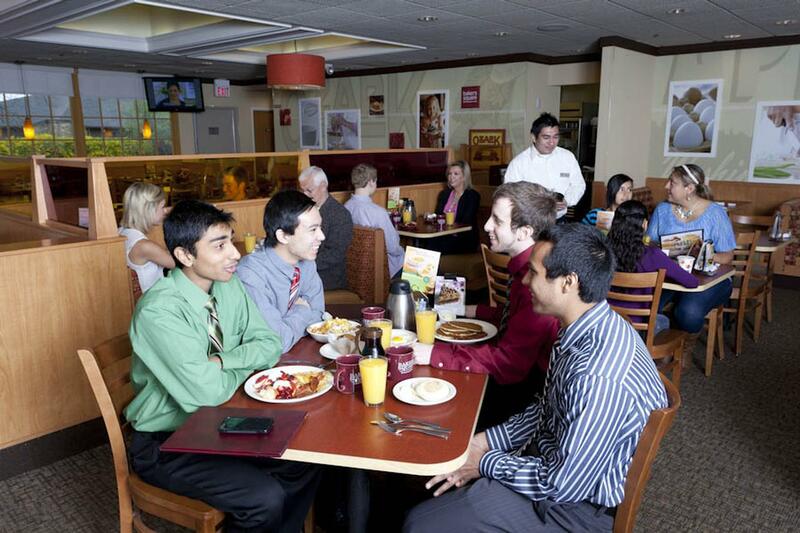 Whether it's a breakfast with friends or a quick bite on your way to work, we're ready! Or, stop by for Lunch or Dinner whenever you're craving our popular favorites – from Crush Burgers, to our famous Grown-Up Grilled Cheese Toasty Melt, to Traditional Chicken Pot Pie. Plus – join us every Wednesday forPie Rush WednesdayTM and get a free slice of double crust fruit pie or featured selection pie with your dine-in purchase. It's a perfect way to top off your meal! The best part of any trip to Bakers Square is standing in front of the pie case picking your favorite! Select a slice for dessert (or just come in for a slice, that's fun, too!) or order a whole pie to bring home, to work, or to your next party or gathering.